The Yamitsu 1.5" ball valve is made to accept 1.5" solvent weld waste pipe. Ideal for regulating .. The Yamitsu 2" ball valve is made to accept 2" solvent weld waste pipe. Ideal for regulating the .. 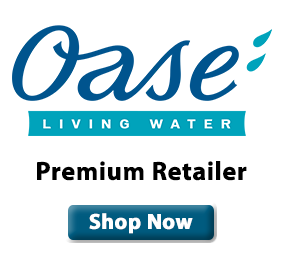 The Oase Flow Regulator is a valve which is ideal for regulating the water flow of your pond pump.. The Oase YDB Flow Regulator is a Y fitting which is ideal for regulating the water flow ..
Slide valves are essential when used in conjunction with bottom drains or gravity fed filters..
Slide valves are essential when used in conjunction with bottom drains or gravity fed filters. Th..